"You're right to be scared." IFC Films has unveiled the first official trailer for an indie horror film titled The Cured, from writer/director David Freyne. This is kind of a horror drama, more than straight horror, as it's set in a time "after" the zombie apocalypse hits and they've invented a cure. The plot involves a man who has been cured of the zombie disease be reintegrated back into the world, but those who are cured are shunned and mocked in society. He also still has all of his memories of when he did eat people, which causes a few other issues. Ellen Page stars with Sam Keeley, Tom Vaughan-Lawlor, Paula Malcomson, Stuart Graham, and Peter Campion . As cool as the concept for this is, the film is bad. I saw it at the Sitges Film Festival and did not like it at all, but that's just my own opinion. Check it out below if you're still interested. What happens when the undead return to life? In a world ravaged for years by a virus that turns the infected into zombie-like cannibals, a cure is at last found and the wrenching process of reintegrating the survivors back into society begins. Among the formerly afflicted is Senan (Sam Keeley), a young man haunted by the horrific acts he committed while infected. Welcomed back into the family of his widowed sister-in-law (Ellen Page), Senan attempts to restart his life—but is society ready to forgive him and those like him? Or will fear and prejudice once again tear the world apart? The Cured is written and directed by Irish filmmaker David Freyne, making his feature directorial debut after a number of shorts previously. This first premiered at the Toronto Film Festival, Sitges Film Festival, and Fantastic Fest last year. 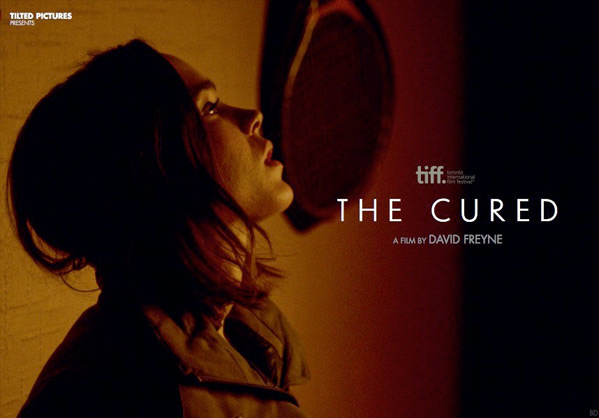 IFC will open Freyne's The Cured in select theaters + on VOD starting February 23rd coming up. Your thoughts?